Does Filtered Water Remove Minerals? Things You Should Need to Know! Have you been asked “Does filtered water, remove minerals?” a lot of times already. You may be torn between buying a filtration system. If not, concerned about what minerals are removed in filtered water. Here are some points that will help you make up your mind which is which. Calcium, magnesium, and sodium are some of the common minerals that may be present in your tap and bottled water. However, they are present only in much lower amounts than what your body actually needs on a daily basis. While we all know that some minerals are very beneficial to our health. Not everybody is aware that those found in our common water supply may be no more nutritional than just dissolved rocks. Rocks are not absorbed into your bloodstream as they are inorganic minerals, unlike organic ones found in plants and animals. These elements have the tendency to deposit inside the body much like they do in your home’s plumbing. This is critical, especially for those who suffer some type of deficiency that prevents the absorption of these minerals. What should you do to get all the minerals your body needs? Many believe that it’s much safer to eat right. Others may also say that it’s better to take supplements, instead of relying on water supply for daily mineral intake. Drinking water is great for hydrating the body. It’s also great for the purpose of flushing and eliminating wastes and toxins. But, water may not be the best source of minerals for your body to absorb. Still, the essential fact remains that your body demands lots of water throughout the day. So, it’s very important that you meet your daily hydration needs. While tap water may contain varying amounts of minerals, their quality depends on the actual source of the water supply and location. Many water supplies have been tested and found to contain many potentially dangerous contaminants. These contaminants include harmful chemicals such as lead, arsenic, radium, and nitrate. They also contain VOCs (volatile organic compounds), heavy metals, bacteria and viruses and pharmaceuticals. Modern research reported that about 6 out of 1000 people fall ill or even die due to drinking contaminated tap water. This is why there are substantial state and federal quality standards that need to be implemented and regulated. Many are under the impression that our water is totally safe to drink after it leaves the local water treatment plant. But, unfortunately, the water picks up a lot of unhealthy contaminates along from the treatment plants to your faucet. Therefore, the EPA strongly recommends that people take personal responsibility of protecting their families from the potential dangers that might be in your tap water. Whether they have it from private well water or our public municipal water treatment plants. Having a good water filtration system is the most effective way to achieve this. 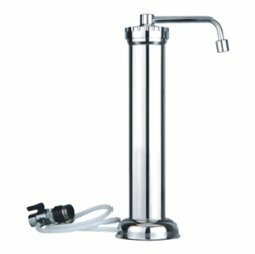 Mind you, there are some water filter systems which can effectively retain any of the beneficial healthy mineral present in your tap water. 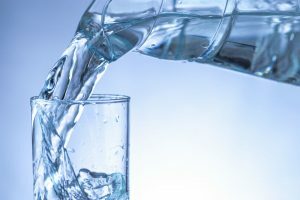 There are many different types of water filter methods and technologies available to make sure you consume only the healthiest water from your water supply. The systems that use activated carbon filters such as the popular Brita water filter pitcher, have been touted by many satisfied users. They find it as an effective tool for removing only the unhealthy substances. Leaving behind the healthy minerals in your tap water. “Adsorption” is the process of employing activated carbon filters. The dangerous contaminants are attracted to the carbon and filtered out before it reaches your kitchen faucet. Carbon filters can potentially remove VOCs, chlorine, and other chemicals, but doesn’t remove the healthy minerals during the filtration process. If you’re worried about other potential contaminants that may be present in your water supply, you can pair it with ceramic filters. Pre- filters are also capable of removing not just pathogens, but also viruses that may be lurking in your tap water. Firstly, water is not, and should not be the primary source of your daily recommended mineral intake. Instead, through incorporating essential minerals in your family’s diet, a healthy regimen is achieved. Secondly, water filters usually come with a remineralizer or an alkaline filter to make up for the minerals that may be lost during the filtration process. Isn’t that amazing? You can have clean drinking water that contains essential minerals that tastes great! Additionally, it is also beneficial for you and your family’s health! 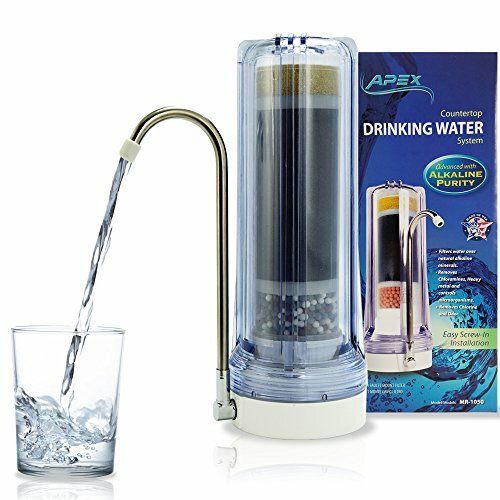 You always have the choice of acquiring a water filter system that comes with a remineralizer or alkaline filter. Not only does it bring safe water, but it also protects you and your family’s health. Previous Post Best Home Reverse Osmosis System Next Post What are Ways to Filter Water for Home and Community Use?